Start your day with this perk me up powder from Benefit. 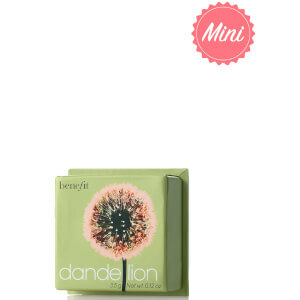 Dandelion will keep them guessing how you look so pretty first thing in the morning. Pop this cute box into your make-up bag so it’s on hand for instant radiance. 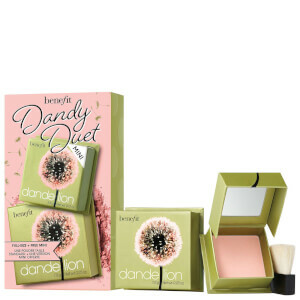 Dandelion is the perfect shade of pink from Benefit that brightens everyone’s complexion without looking powdery or chalky. Dust on Dandelion for a pretty and youthful appearance. Sweep the brush across the powder a few times, then tap off any excess. Brush lightly onto the apples of your cheeks in an outward motion. For the final touch, lightly brush all over your complexion. This blusher has actually really grown on me. Initially I thought the colour was quite subtle and was a contrast from my normal peachy tones, however as I'm a little paler during the winter months it gives more of a rosy pink tint. The packaging is annoyingly bulky though.